S. Orion Courtin, MD, MHS is a physician who specializes in the care of older people (geriatrician) at the Center for Successful Aging at MedStar Good Samaritan Hospital. 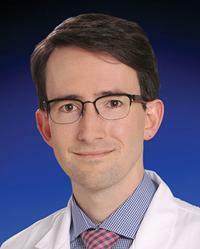 Dr. Courtin completed his residency training in Internal Medicine and fellowship in Geriatric Medicine at Johns Hopkins. He has been a proud Baltimorean since 2004, having completed a degree in public health at The Johns Hopkins Bloomberg School of Public Health and his medical education at the University of Maryland School of Medicine. He worked for Maryland’s Medicaid program as a policy analyst and assisted in the development of the Money Follows the Person Program, a program to help adults living in nursing facilities transition back to their homes in the community. Today, Dr. Courtin remains passionate about helping his patients age in their homes despite medical illnesses and disability.